Young, fresh and trendy especially for students. 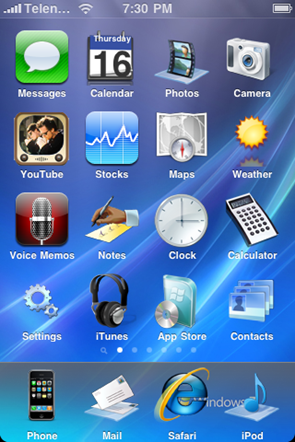 The jeans background and the badges as application icons takes you back to the college days. Fulfill your dream to visit NYC – bring the great New York City to your iPhone. Love the pink sparkling effect! 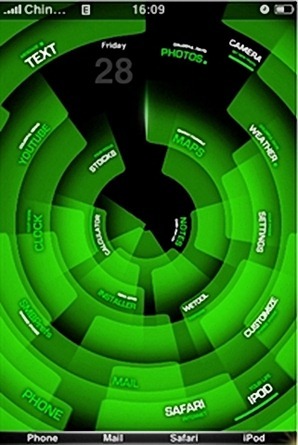 It is a unique Chinese twisted green theme available in 5 different colors. All iPhone icons are placed around the center in circular unique way. It has an amazing blue highlight effect with a black background which gives it a very stylish look. It gives a modern 2020 kinda look to the iPhone with the great prism effect with the buttons plus the shiny surface rocks. It gives you the impression as if you are holding the whole of China in the palm of your hands! Vibrant colors with a black backdrop – a pretty stylo effect. Good clean colors with a vibrant feel to it and a very soft look. A simple, clean and light theme for the kind eyes which is inspired by Google Chrome’s look and feel! A cool theme for Mac fans with a nice light blue color. Stars in the space as the background with multicolored buttons. 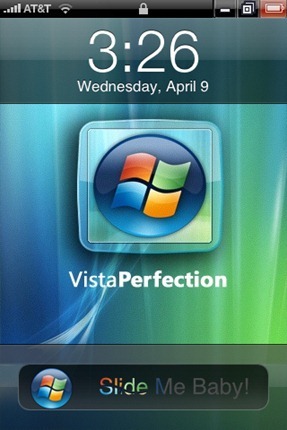 Want the glassy look and feel of Windows Vista? This is the theme for you! Love the greenery at the back-very soothing ! 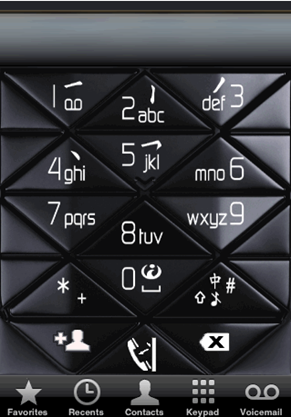 Funky background and buttons – NEW is the right word for it ! 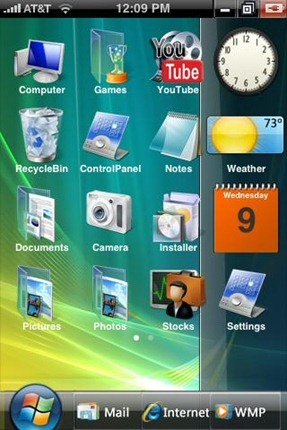 If you are a fan of Windows 7 and would like to have its look and feel on your iPhone then you might want to give this theme a try! 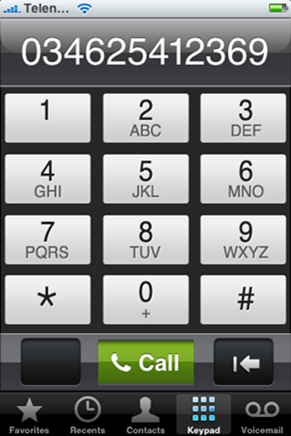 Get the gorgeous looking Sense UI –like experience from HTC Hero right on your iPhone! 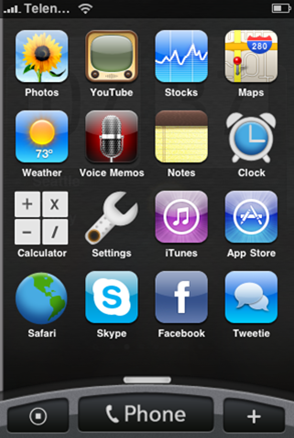 You will also need “Winterboard” app on your iPhone or iPod Touch to get these themes running. 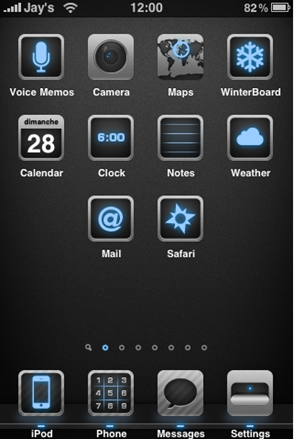 Winterboard can be downloaded from Cydia for free. 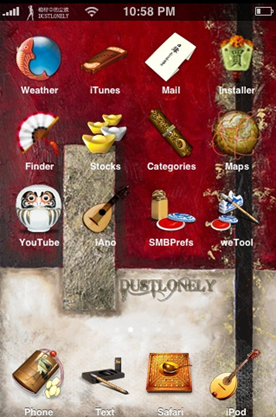 Really cool collection of themes. 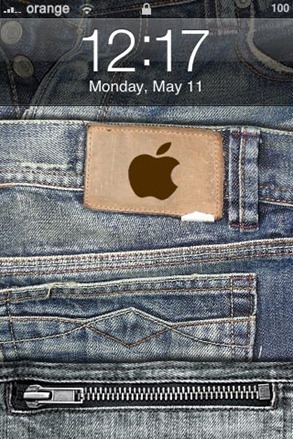 Loved Jeans and iMac themes! my winterboard and contact won't pop up on bottom dock from HTC sense UI??? 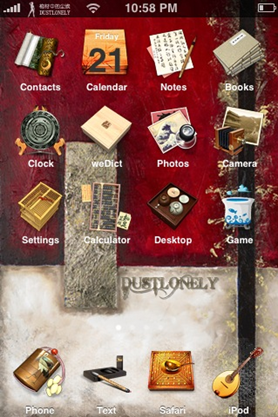 I've installed the HTC theme and works fine. But I'd also like to change the sms page and the qwerty keyboard etc, how can I do this? 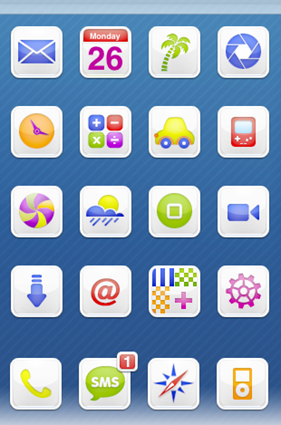 what is the repo for these themes? 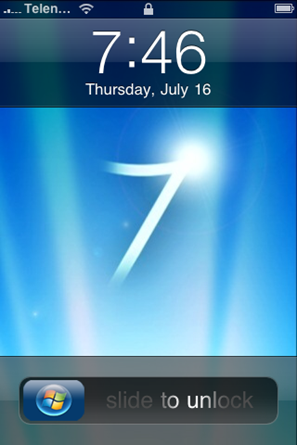 I have the htc theme for the iPod and the bottom shortcut won’t show up help please. 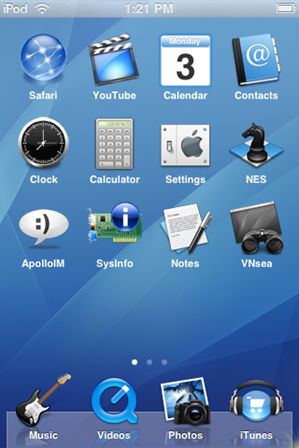 how do i get the new york theme for my phone..
can you get it using cydia ? pls mail me the details or instructions …. wow..great theam..but where can i download it? repo? Everything works find except the weather. It doesn't display for “Vienna, AT”. 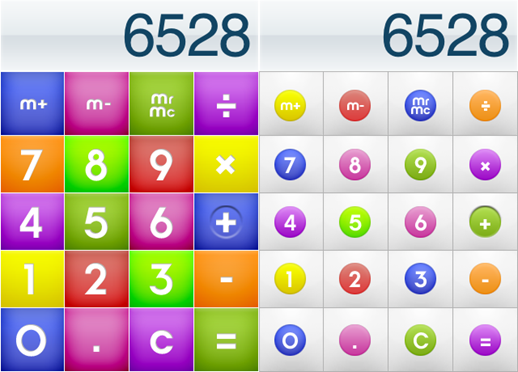 Why only (HTC Hero’s Sense UI, Windows 7, ChromiPhone) themes are downloadable ???! 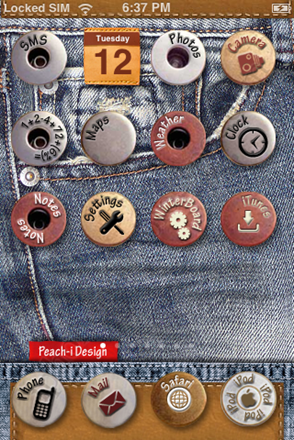 Go Cydia, search for “Peach I Jeans” and install. 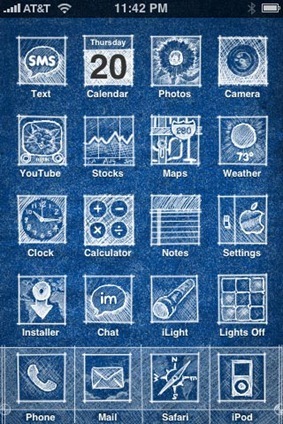 It is the same as Jeans iPhone Themes. 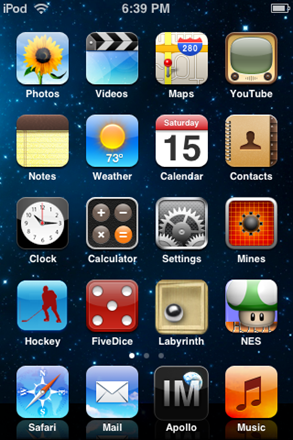 where are the link for these themes …. where can I download the China Wind theme ? 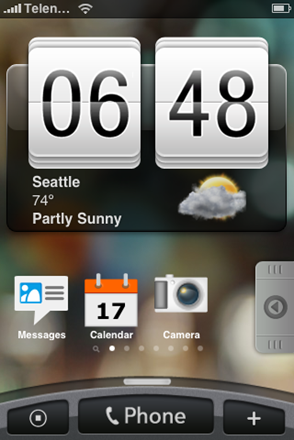 how to change the weather once you have the htc hd2 theme on your iphone? 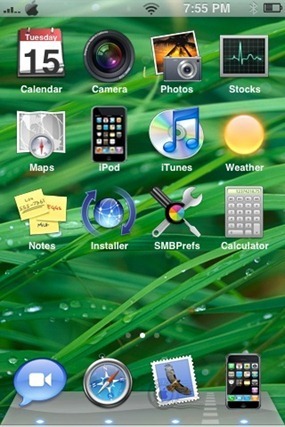 where can i find the chinese green theme in cydia? how do ii get the new york city theme .. ?